The Greek island of Zakynthos has shifted at least 3 centimetres southwest after a 6.4-magnitude earthquake rocked the island on Friday. Researchers observed its new position after analysing radar images taken by an EU and ESA Satellite from the Copernicus Earth observation programme. Dr Athanassios Ganas from the Geodynamics Institute of the Athens National Observatory told the Athens-Macedonian News Agency (ANA) on Monday that no vertical movement had been detected, only horizontal. Scientists are also trying to determine if other nearby land masses were moved by the quake, Ganas added. 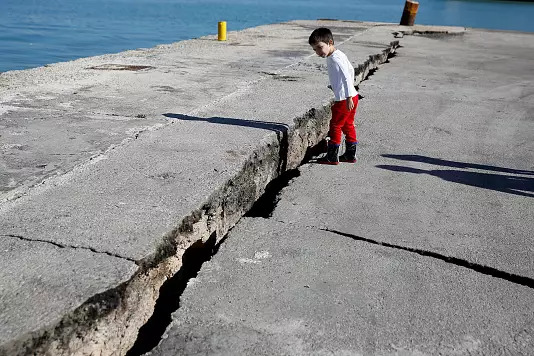 Greek authorities declared a state of emergency Saturday following the earthquake, which was felt from as far as Athens, Italy, Albania and Libya. It struck 50 kilomatres off the coast of Zakynthos at a depth of 10 kilometres. The island’s port and a 15th century monastery were damaged by the tremor, but no injuries were reported. Seismologists predicted another quake would likely follow in the coming days.